Food safety expert Christina Ratcliffe is helping caterers across Staffordshire, Cheshire and Shropshire hit the heights for hygiene and cleanliness. Christina has launched The Food Safety Company to work with cafes, restaurants and pubs to help them achieve the highest 5-star standard for cleanliness and hygiene. With a wealth of experience as a local authority food safety inspector to draw on, Christina is able to offer an inside track on exactly what is needed to meet the highest standards. “We work with business owners and staff to ensure they understand exactly what is required to gain a 5-Star rating from the Government’s Food Standards Agency,” explained Christina, a member of the Chartered Institute of Environmental Health and an accredited trainer. “It is vital that people can have confidence in the hygiene standards of food premises. In addition, the rating system is, quite rightly, transparent; premises must display their FSA rating for customers to see. Christina’s expertise has led the Newcastle-under-Lyme based Food Safety Company to attract a host of customers Slaters Country Inn, at Baldwins Gate, the Whitmore Tea Rooms and tenanted pubs owned by Joules Brewery. 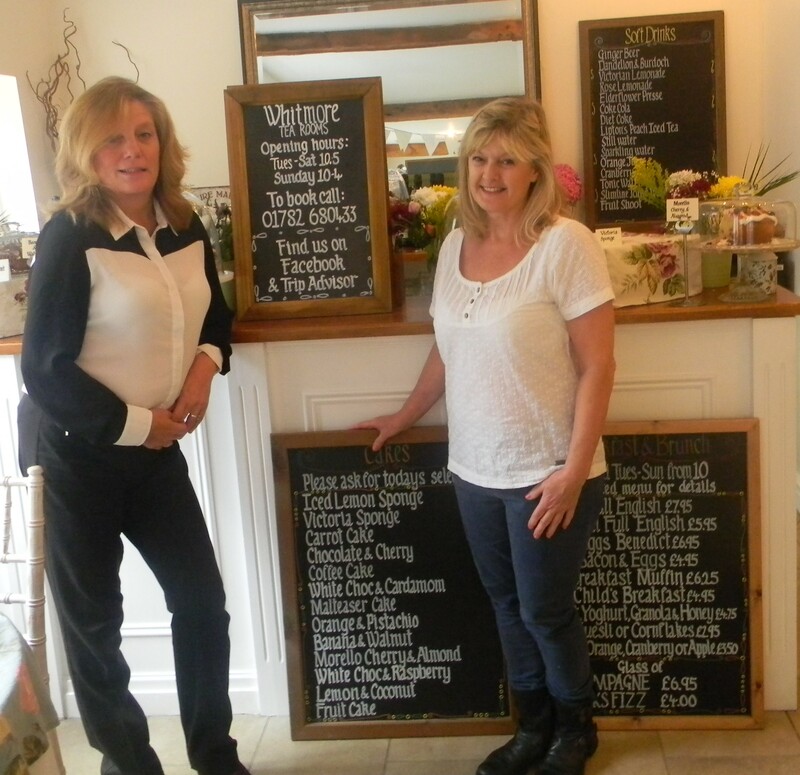 Sherrie Fitzgerald, owner of the Whitmore Tea Rooms, said: “Our reputation as a trusted tea room providing food to the highest standards, prepared in a clean and hygienic environment is extremely important to us. Added Christina: “Achieving and retaining a 5-star rating is important to venues such as the Whitmore Tea Room and helps them to attract customers who come back time and again. The tea room has won a Taste of Staffordshire award and was recently featured in a Japanese lifestyle magazine as a place to enjoy afternoon tea. “I have worked in food safety for several years and have seen the inspection regime develop from an ad hoc system where councils looked at food businesses when they felt there was a need, to the current Food Standards Agency regulated inspections. Clients of the Food Safety Company benefit from Christina’s experience in food hygiene and safety training. Christina has successfully trained more than one thousand people in the Chartered Institute of Environmental Health Level Two award in food safety. Most recently all the chefs at Slaters Country Inn have been trained in the new CIEH Level Two Allergy Awareness training course.